The site reserved for 50 natural burial plots at Clareville Cemetery. Returning to nature is a dying wish which can now be granted thanks to the team at Clareville Cemetery who have successfully carried out two natural burials so far this year. ELISA VORSTER looks at what a natural burial is and the people who have embraced them. Funeral rites have changed a lot throughout history, from a mound of earth or a heap of stones over the body of the deceased to an embalmed body buried in a personalised casket. Types of burial and funeral practices can vary among cultures and religious institutions, but one thing remains the same – the respect for the bodies of those laid to rest, and for their grieving families. 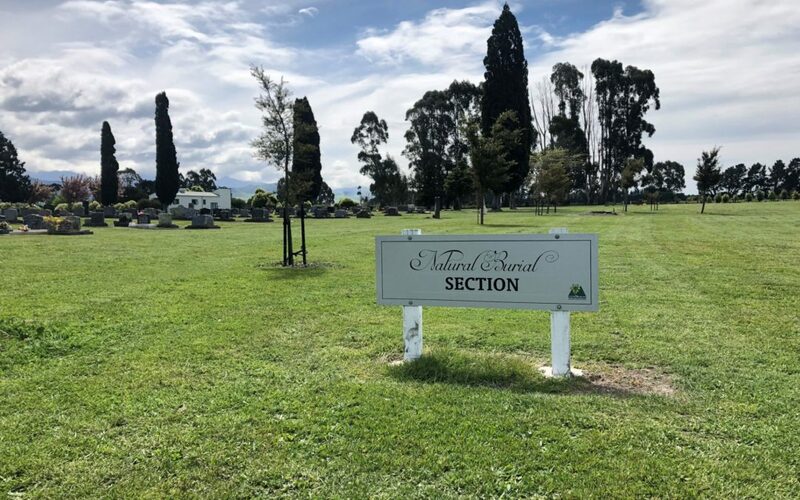 The past decade has seen a surge in natural burials in New Zealand – a fast-growing trend which has seen the formation of 19 natural cemeteries. The movement has grown faster than any previous form of “post-death disposition”, according to ‘Natural Burials’, a not-for-profit organisation formed in 1999 by a group of New Zealanders who established the first natural cemetery in a city outside of the UK. Clareville Cemetery groundskeeper Tamiana Tamiana next to the plaque remembering those buried in the unmarked graves. The primary concept of a natural burial is to keep everything as natural as possible to allow for a speedy decomposition, with minimum introduction of man-made materials or toxins to the environment. This means no embalming, a shallow burial less than one metre deep, an untreated casket or in some cases, no casket at all. Carterton District Council jumped on board with the concept after a submission from Carterton resident and sustainability advocate Helen Dew. Dew heard about natural burials during a casual coffee forum with friends over 10 years ago and knew straight away it was for her. “For me it’s about recognising we humans are part of the natural system,” Dew said. But for Dew it’s also about minimising the effects of climate change for a sustainable future. “With an embalmed body, where do the chemicals go? Studies in the UK show buried embalmed bodies leach 40mg of formaldehyde effluent per litre of groundwater in the first year and because of the lower depth of burial, release effluent into the water table. Natural burials remove this issue entirely and provide life to surrounding plant life by keeping the soil toxin-free. Dew said it was “lovely” the burials were complemented with a planting above, which for Clareville Cemetery is a totara tree. 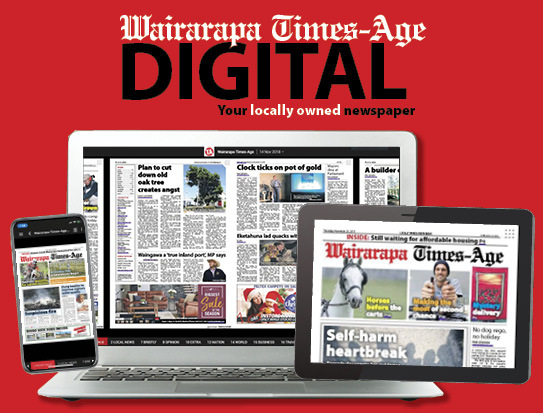 “We’re intending to try and achieve a grove of totara because it’s a native tree which grows well in this area,” parks and reserves manager Clinton Thompson said. The selected site mapped out for the 50 natural burial plots is in an area outside the original cemetery grounds and upon radaring the area, council officers discovered several unmarked graves believed to be those of paupers. “Several of the bodies date back to the beginning of last century so there aren’t many records,” Thompson said. 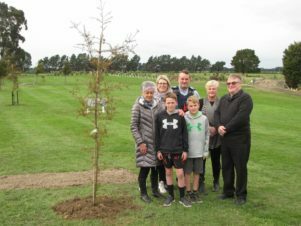 The council marked the sites by planting totara trees over each and mounting a plaque in remembrance of “the graves that time has forgotten, for the generations that were here before us and for those who never had a chance to grow old”. 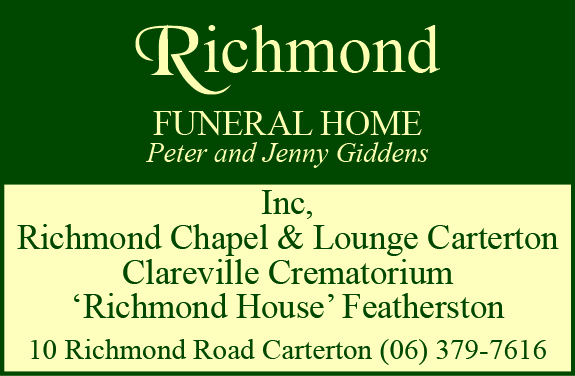 Carterton District Council is the only council in Wairarapa able to provide natural burials, with Thompson taking pride in the fact they can offer something the community wants. “It was instigated by a request and we couldn’t see any reason why we couldn’t. As soon as he heard about the Clareville Cemetery natural burials, Warren Day knew there was nowhere else he would rather be laid to rest. 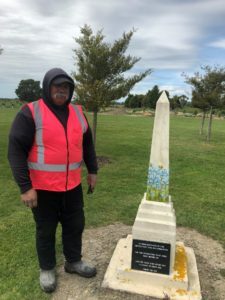 Warren Day was the first person to be buried at the Clareville Cemetery natural burial site, his plot marked by a totara tree and an untreated wooden name-marker. His son, Richard Day, said his father would often walk the dogs at other cemeteries and get upset by the damage and graffiti on the headstones. A week before Warren’s passing, the family took him out to see the cemetery and he instantly knew it was the “perfect” decision. “He spent his whole life out in the country so when he heard about the natural burials, he thought it was a really good idea,” Richard said. “He heard a tui tweeting in a tree and spied the Tararuas. The Days recognised Warren’s love of farming and the outdoors by laying rosemary which was tied with pieces of wool and baling twine on top of the untreated coffin. The family has since returned to the site to plant a totara tree next to the plot. “It’s going to be a living forest,” Richard said. University of Auckland student Juliet Perano has been travelling around the country for the past three months visiting 15 of the 19 known natural burial sites. As a PhD student in sociology, Perano is exploring natural burials in Aotearoa by looking at the diversity in protocols between the different locations, as well as speaking with families who have buried a loved one or are considering a natural burial themselves. “Talking to people in New Zealand about their experience with natural burials has been a real privilege. I asked her what seems to be a common question – why study natural burials? “There’s a natural harmony between several of my interests,” she said. “I’m really passionate about nature in Aotearoa New Zealand and have an interest in death and dying. She visited Clareville Cemetery as part of her research, saying the site had a lot of potential. Perano had noticed both similarities and differences between the cemeteries across New Zealand. 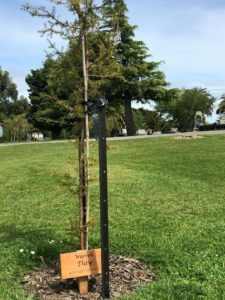 Like Clareville Cemetery, most were hybrids [a natural burial cemetery as part of a regular cemetery] but differences included offering a choice of trees for the planting, varying depth and amount of soil placed over the body, and permanent versus temporary markers. Perano said the natural burial phenomenon had been growing quite rapidly, with new sites popping up all the time. “There’s lots of people in communities around the country working to establish natural burial sites,” she said. She said Kiwis from all walks of life were embracing natural burials, despite the assumption that they were only for those with a developed green consciousness. “There’s people drawn to natural burials for a range of reasons, including their attitude towards the environment, their philosophies on life and death, even the Kiwi ‘no fuss no bother’ attitude. She said one thing that seemed to remain the same was that a natural burial was often a very considered choice and many people had worked hard to have one. Perano was “pretty humbled by people’s insights and passion” and was looking forward to visiting the remaining four sites on her list.